This entry was posted on February 21, 2010 at 2:24 pm and is filed under HDR. You can follow any responses to this entry through the RSS 2.0 feed. You can leave a response, or trackback from your own site. Very nice HDR, love the cold tones. Well done!! Very good winter pic! It seems a bit blurry and some noise. I would suggest you try Topaz or some other software to do some adjustments. But awesome colors. Thanks for visiting. Noise is the next thing I intend to deal with! I don’t know Topaz – do you have any familiarity with Noiseware Pro? 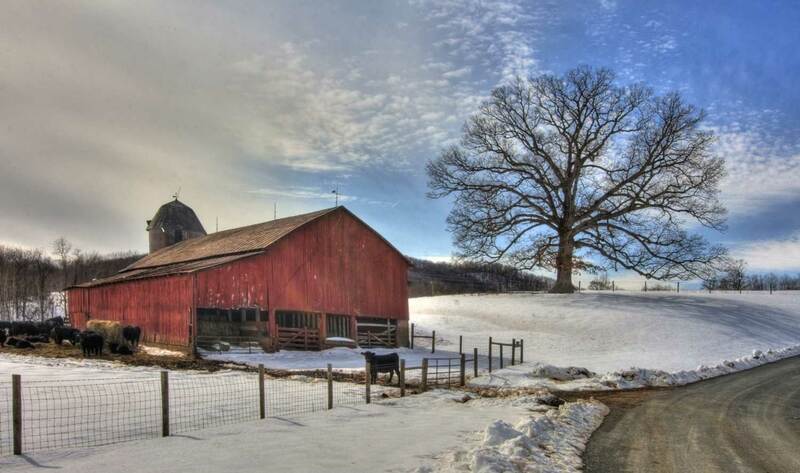 This barn is known as the “Massey Barn” for the family that long ago owned this land. This is one of the most photographed and painted scenes in all of Albemarle. Great Shot! Thanks Leif. I have updated the post title accordingly!